While most people have ample access to clean water, a huge number of people also aren’t drinking the amount of water that they should be drinking each day. Water makes it possible for your body to function properly. Everything that your body does, be it intentional or automatic, requires your body to have a certain amount of water available to pull from. But because so many people aren’t getting the water they need, they might be experiencing physical problems that they might not even be aware of. So to help ensure you’re fueling your body with the water it needs to function, here are three tips for drinking more water each day. Until you know how much water you’re actually drinking each day, it can be hard to know if you’re under the amount that you should be drinking. To help with this, you might want to first start keeping track of how much water you’re getting in on a regular basis. Once you have this baseline number, you can then set a goal for yourself to try to reach. To help you in keeping track of all this information, Jessica Cruel, a contributor to Self.com, recommends that you download one of the many apps available that will keep track of the amount of water you have been drinking. For some people, the taste of water is what makes it so challenging to stay as hydrated as they should be. But for others, it’s simply just remembering to keep drinking water throughout the day. If this sounds like you, then you might want to try setting some deadlines for yourself at certain points of the day. you can take a gallon jug or whatever you want to use to measure your water and put certain times on the outside for measurement. When you reach that time of day, you’ll be reminded that you want to have that specific amount of water down by that time. What it all comes down to is creating new, healthy habits for yourself. So whatever your hang up is about getting your water in, try to find a way to institute a new habit that will combat that. 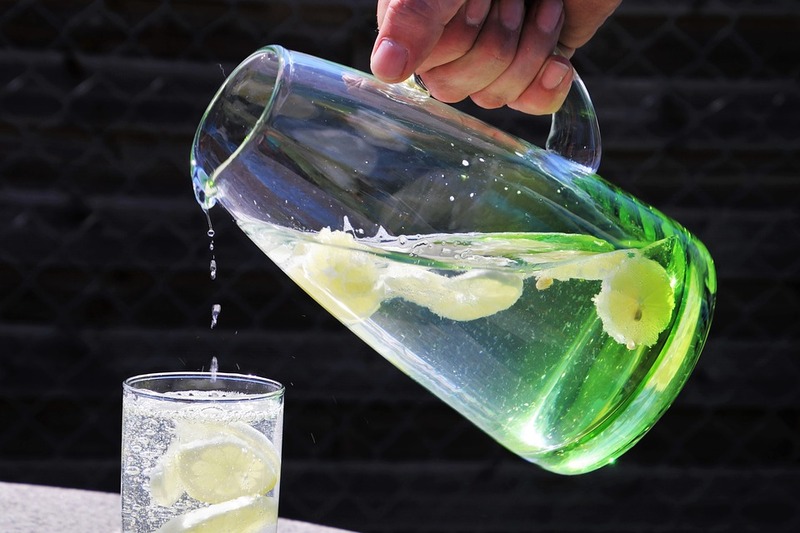 For example, Roxy Bargoz, a contributor to Mind Body Green, shares that you can start drinking water with different flavorings each day or begin having a glass of water before or after each meal. Whatever you have to start doing for yourself, once you continue on this path for a few days or weeks, it will then become a habit for you and will get you drinking the water you should.